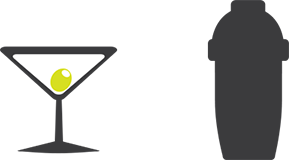 Exactly a month ago we announced the launch of our industry-first Cloud EPoS Simulator. It’s a fantastic product that allows in-venue EPoS menus, discounts, price-bands and tab management to be replicated and tested from anywhere in the world at any time; all that’s required is an internet connected device. There is just one aspect though in which it leaves a little something to be desired, especially for anyone remotely troubleshooting or preparing for a new venue: there’s no way to test printing. Kobas EPoS has three types of printable material: internal financial reports, internal instructions which communicate the need to prepare or deliver a dish or a drink, and customer bills and receipts. 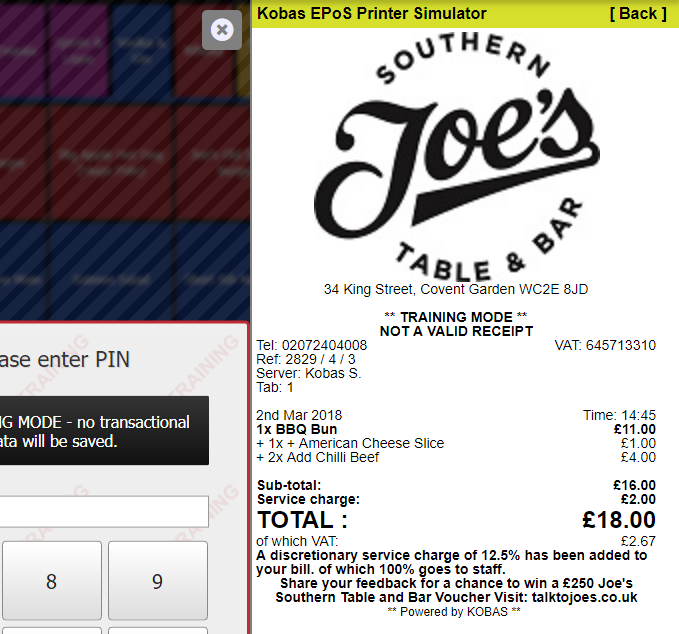 In order to support large and complex venues, Kobas EPoS can do all sorts of clever things with regards to routing food and drink requests from certain tills to certain printers at certain times of day or days of the week. So to ensure our EPoS Simulator is as useful as possible, today we’re happy to announce the arrival of the Kobas Cloud EPoS Printer Simulator! 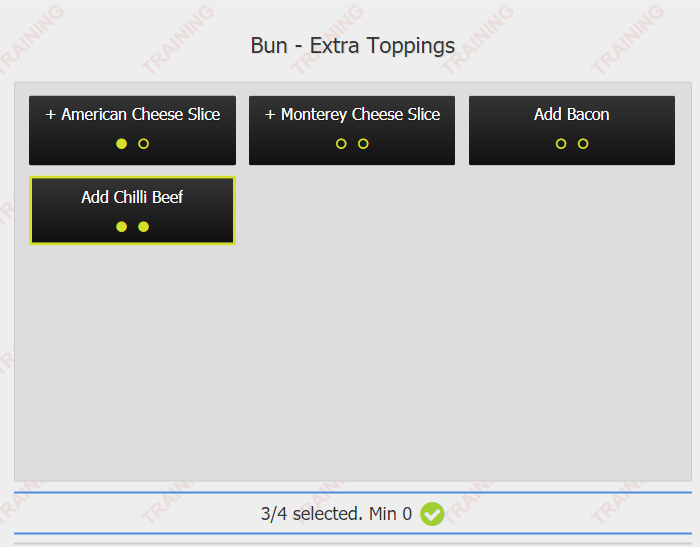 As an example, let’s say you’re setting up multiple burger additions using our Multiple Select Post Item Selection Configuration, and you want to be sure the work dockets being printed in the kitchen will make sense to your chefs. 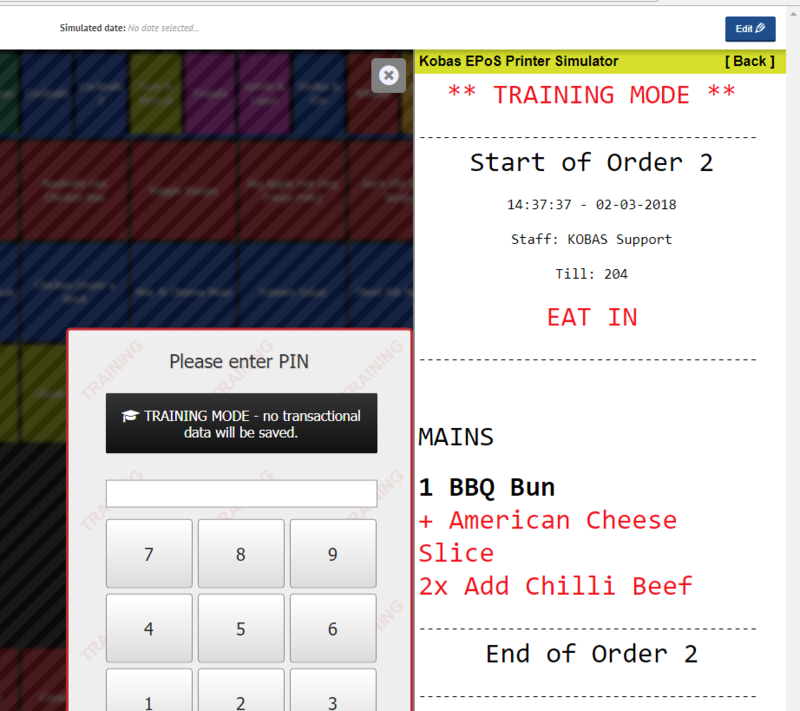 The main EPoS simulator can be used to put together an order. Once that has been cashed off, it is possible to check out the work dockets! It’s also easy to check receipts too, including headers, footer text, phone numbers, VAT numbers – the lot! The Printer Simulator is now an integral part of the EPoS Simulator, which is available to any Kobas Cloud user who has the Administration -> Hardware Management permission, and can be found in the Venue Manager within Cloud’s Administration section. Once loaded up, there’s a new, grey printer icon on the top right of the EPoS. That icon will persist as the main simulator is used. If your EPoS use would ordinarily trigger a print of any kind in a real venue, the simulator will change the printer icon to blue to indicate there’s something new to see in the printer simulator. Simply tap the icon to slide the printer simulator in from the right side of the screen. It’ll list all prints as a result of your simulation in reverse chronological order, so the newest prints will appear at the top. The list shows the printer name, the type of print, when it happened, and whether or not it has been viewed. Simply tap the print you wish to view. To retract the printer simulator and return to normal EPoS usage, tap the X icon. 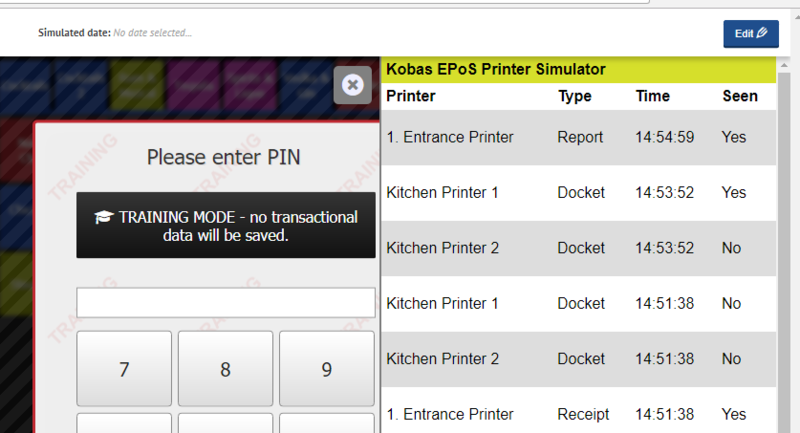 We believe the addition of this Printer Simulator really sets the Kobas EPoS Simulator up to be a unique and valuable part of any hospitality company’s operation. Our Simulator is proof of our vision and passion for making life easier in every area of hospitality businesses. The Printer Simulator is available now as a part of our main EPoS Simulator, accessible to all clients, at no extra cost. We hope you enjoy using it!